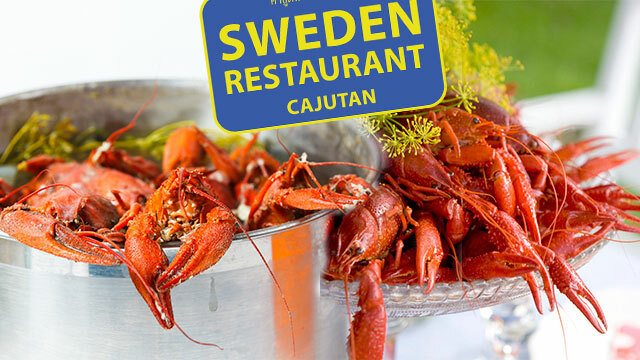 Cajutan Food Shop is pleased to offer “Swedish” crayfish to all customers.. The crayfish is grown here in Thailand, which means we can sell them alive to anyone who wants to cook them according to their own prescription. 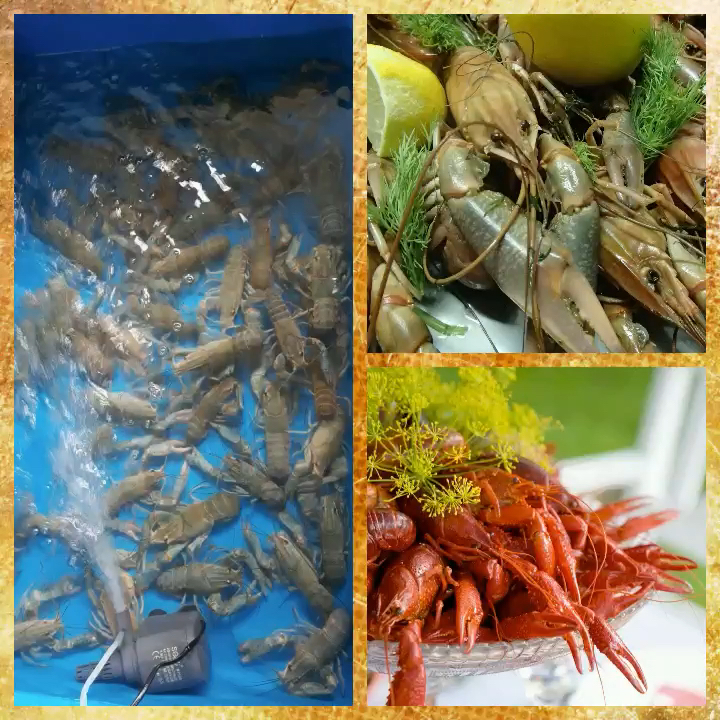 Of course you can also buy our crayfish cooked. 12 – 15 crayfish per kg. 1.050 B / kg. 12 – 15 crayfish per kg. 1.195 B / kg. 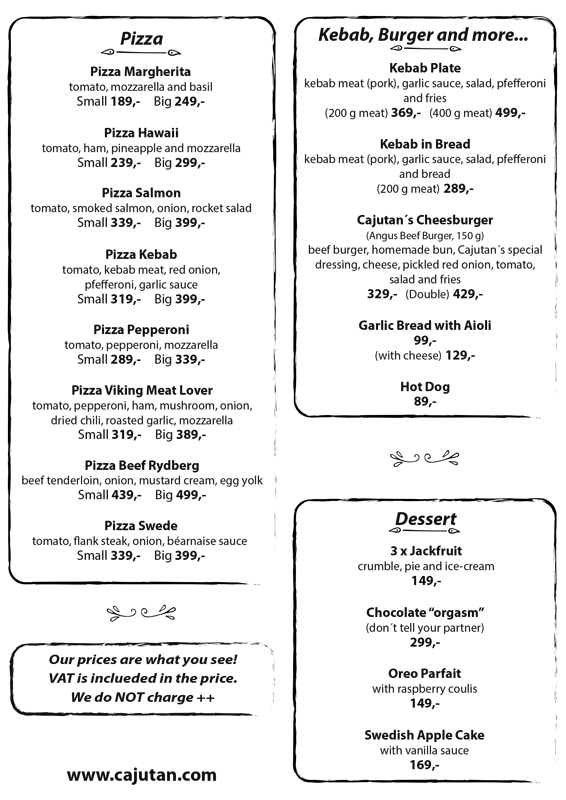 Order latest Wednesday at 1 pm for pick up at Friday evening at Cajutan. 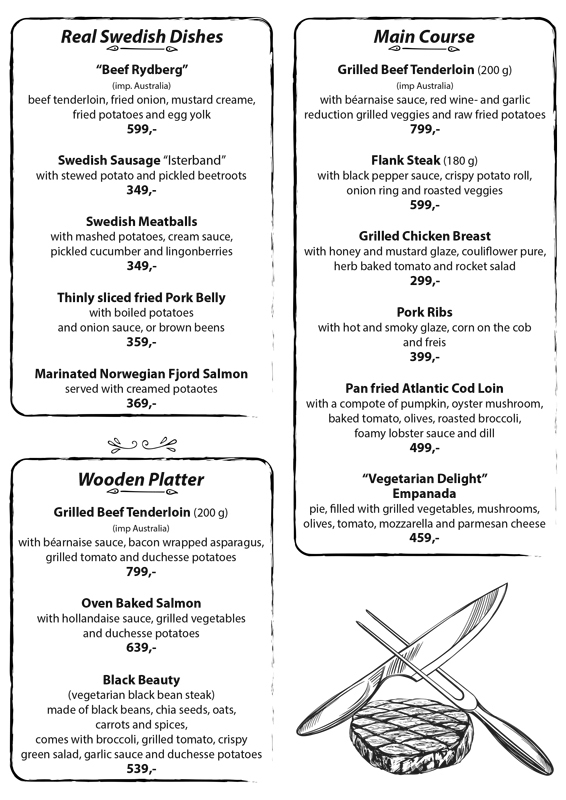 The best Swedish SEAFOOD BUFFET in Bangkok! 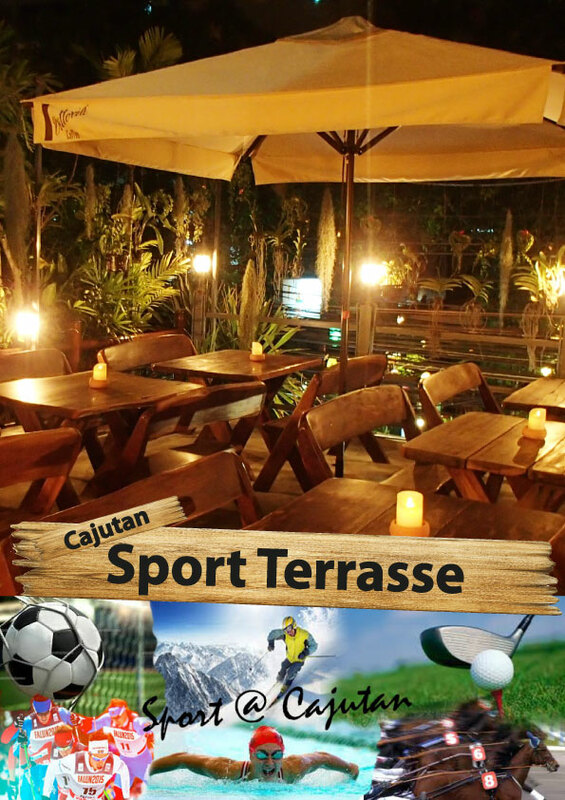 Book a table with booking fee of 500 B/person, latest 1st September. 19.30 Formula 1 qualification. Hungary’s GP. 19.15 Formula 1, Hungary’s GP. 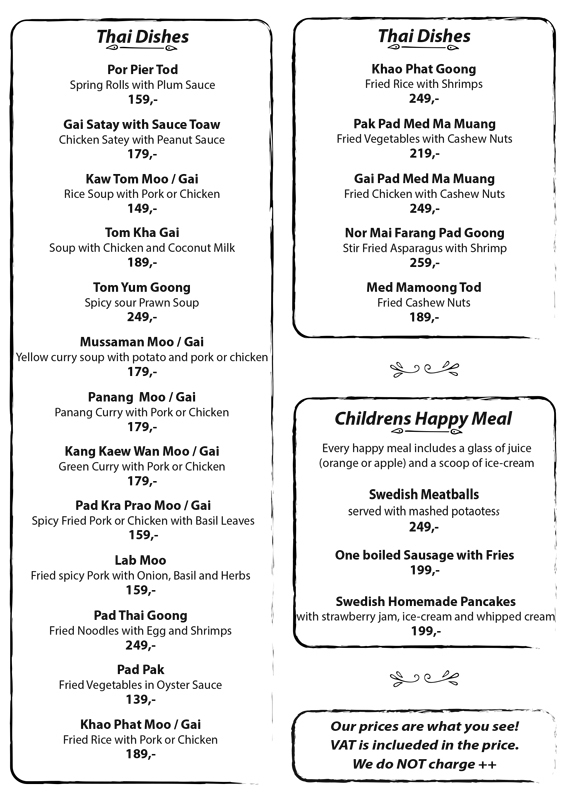 New Menu tomorrow, Monday at Cajutan! 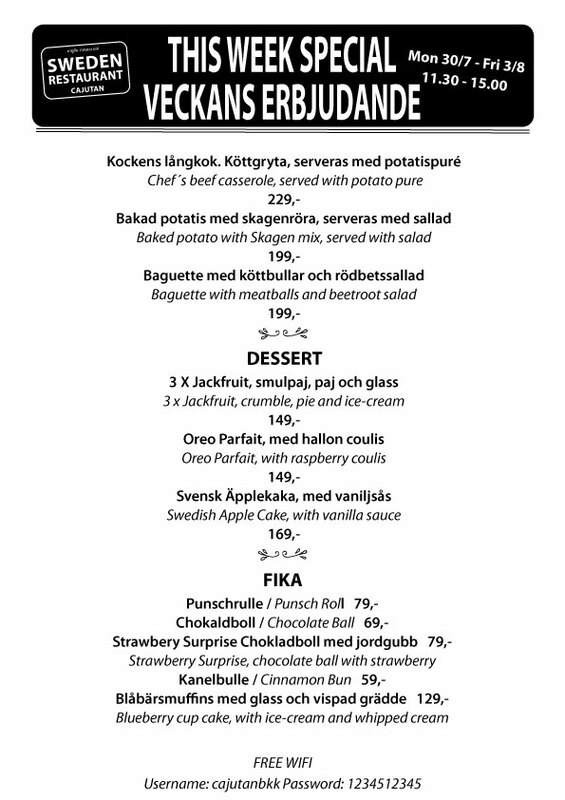 Pasi Huusko, our Swedish chef, presents the new menu. We’re very happy to introduce our new Swedish chef Pasi Huusko! 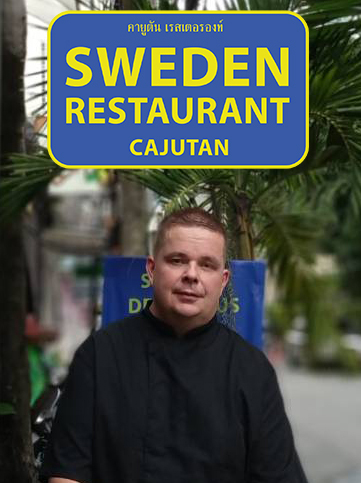 – I was born and raised in Västervik, and I studied at a culinary school in Linköping. 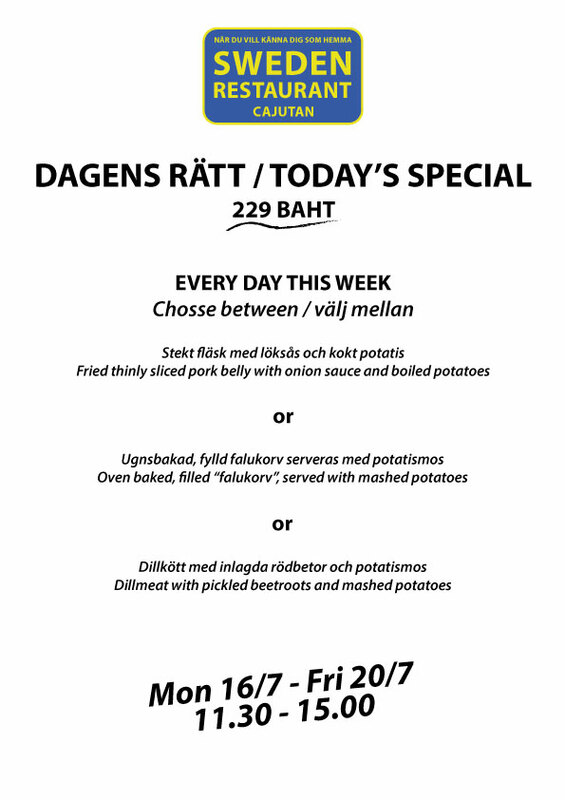 I’ve worked as a chef for both the Swedish and the Spanish Embassy in Budapest, as well as for the Swedish Embassy in Oslo. I’ve had the honor to cook for royalty, presidents, and regular folks like you and me. For the last 10 years I’ve enjoyed life in Bali, cooking at a 5-star resort and a boutique hotel. 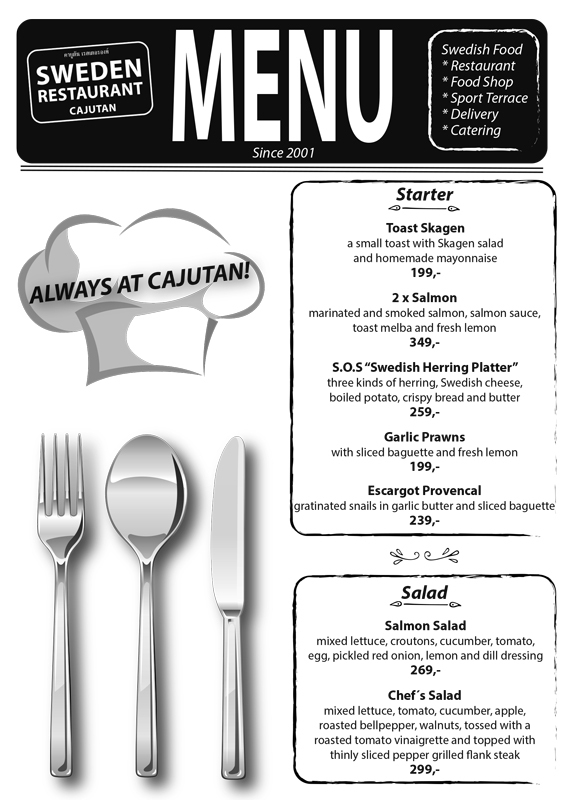 I look forward to stearing Cajutan in a new direction with new exciting food and beverage. 19.30 Formula 1 qualifier, Hockenheim. 19.15 Formula 1, Hockenheim GP. Cajutan has a wide range to choose from. Monday 16th to Friday 20th July. 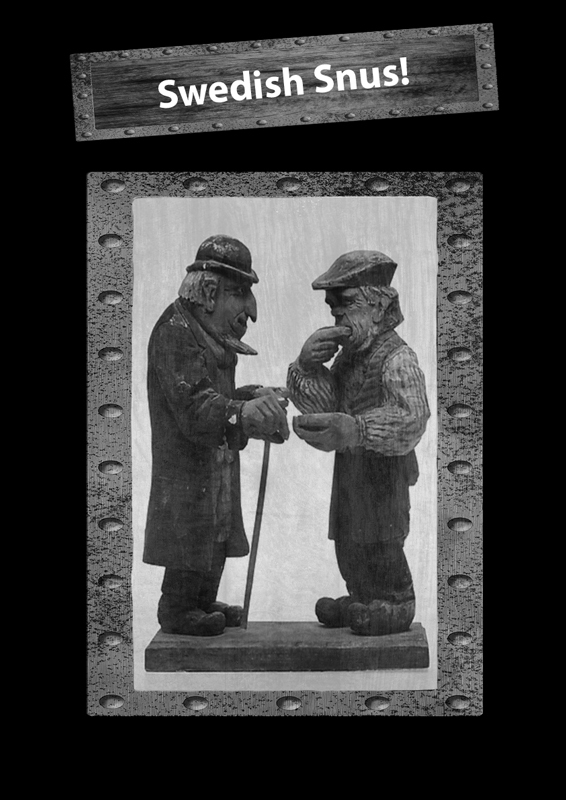 11.30 am – 3 pm.